You can’t just dip a toe into the corporate training market. It’s a highly competitive and extremely lucrative landscape with numerous big players. If you want to succeed, corporate training requires a detail-heavy strategy. Before launching your new program, you need to ensure it responds to a specific market demand. Additionally, you must be prepared to dedicate time, effort and resources to outreach and relationship building. 2. Do you understand the needs of the corporate training market and the demands of your corporate partners’ industry? How will you evolve as these needs change? 3. Do you have the necessary resources to see the program through to completion? 4. Do you have a dedicated staff able to assist in the program administration? 5. Are you able to offer the level of service corporations demand? As you get deeper into this space, you will have to consider additional details and develop a highly robust approach to the market. But by being fully prepared with resources, staff and strategy, your university will be able to enter the corporate training market fearlessly. 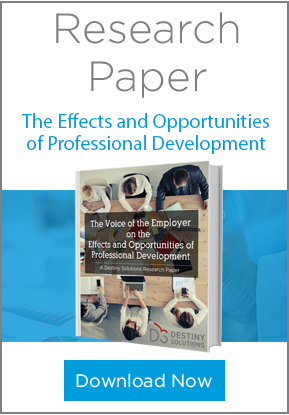 To learn more about how the effects and opportunities of professional development download this Whitepaper.